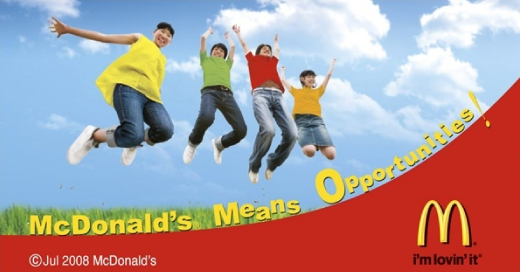 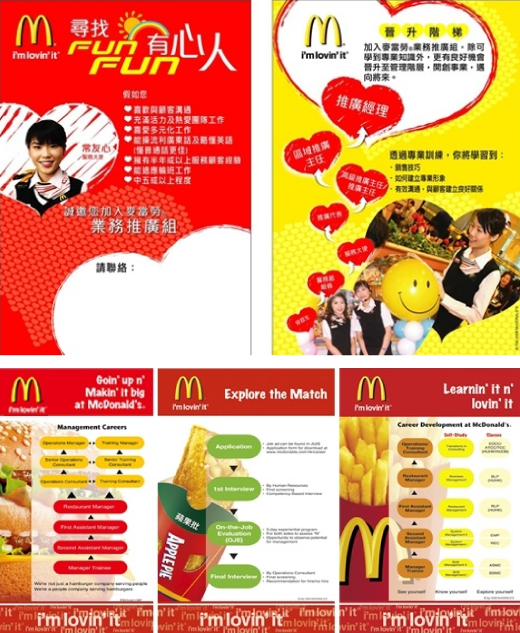 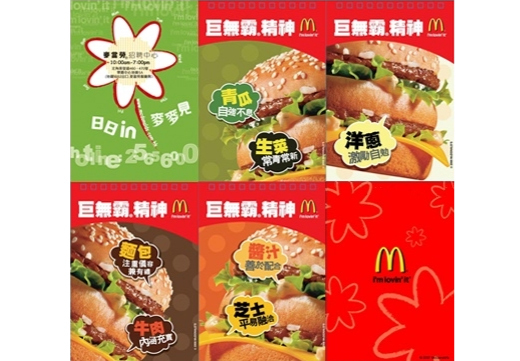 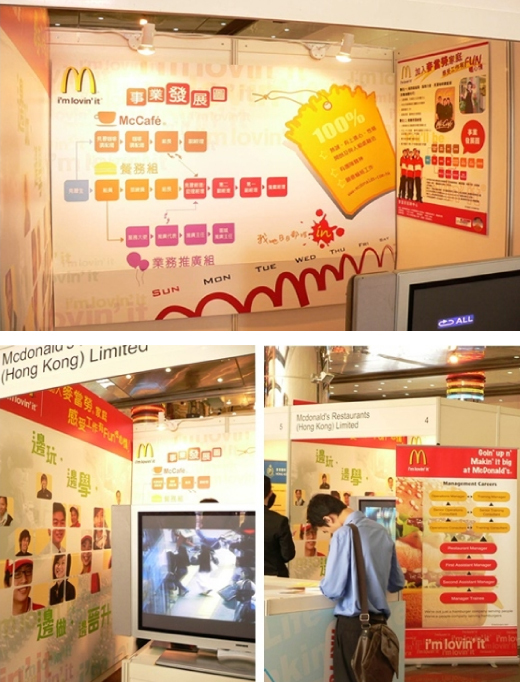 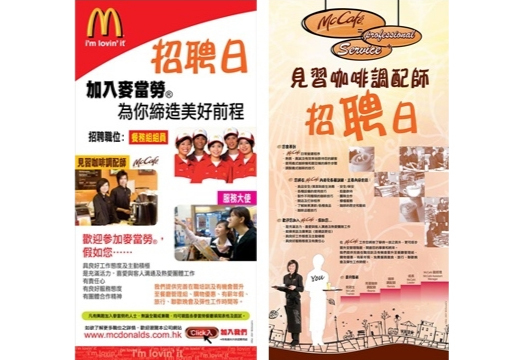 Recruitment centre of McDonalds Hong Kong is the very first launched among fast food corporations locally. 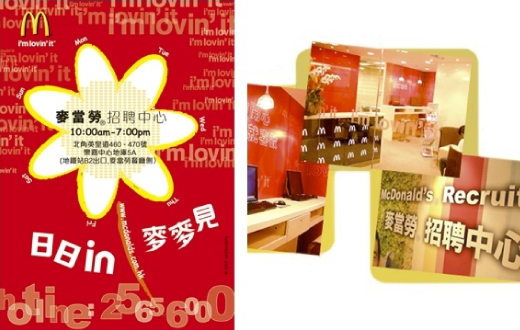 Wiseman worked out a brand new image including slogan to match the features of the centre which is run 7 days a week for all walk-in interviewees. 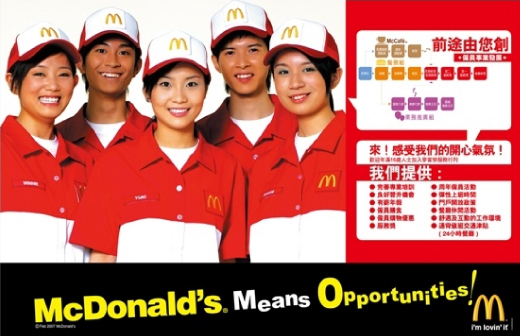 Effective tool for new comers and perfect reminder for all McDonald’s staff. 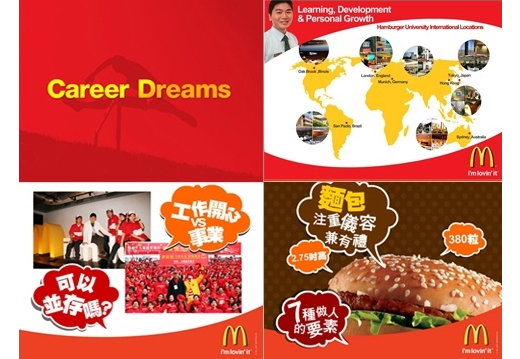 Animated presentation for internal training. 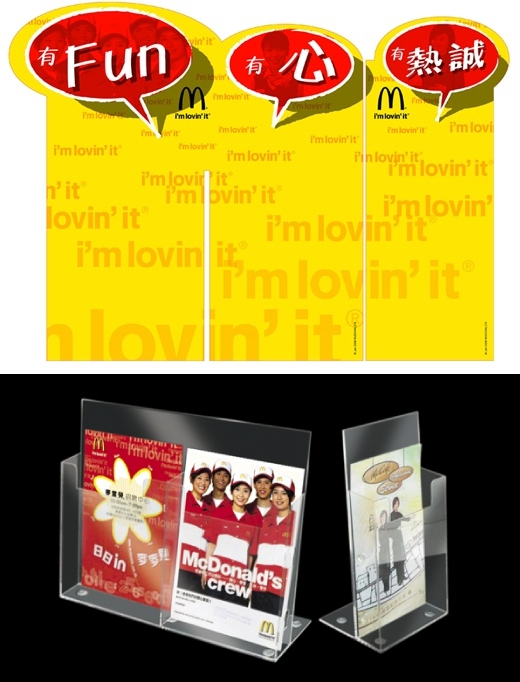 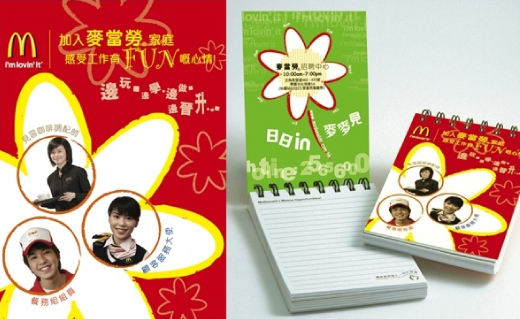 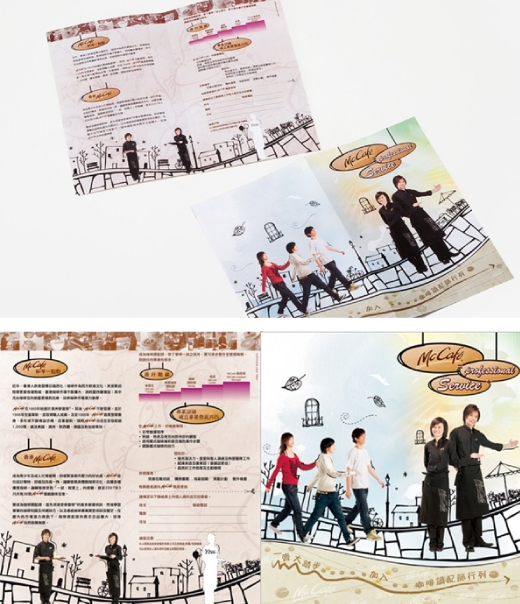 Standee creation and visual design. 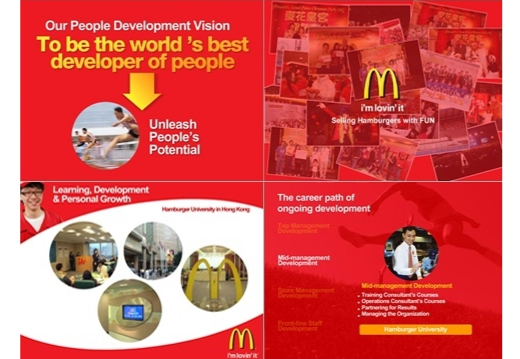 Key visual design for customer service recruitment.